BRYAN EATON/Staff photo. Students in Sara Ramos's art class at the Amesbury Elementary School to paint what they wished, but using different colored and bright paints for their creations. 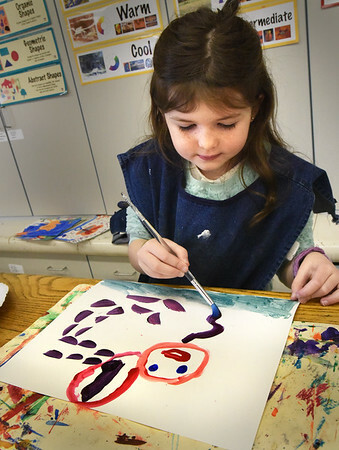 Alli Barns, 6, created a singing woman while others painted rainbows, flowers and landscapes.